*(20/11/17) First print run sold out in 1.5 months!! Thank you and thank God!! (12/10/17) Good news! Deco Chiffon Cake Basics is finally available at all major bookstores in Singapore, Malaysia, Indonesia and Thailand! 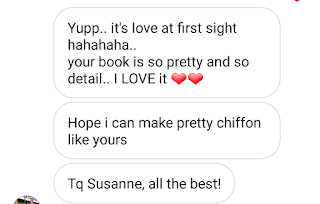 It's also the first book to be in all Malaysia Popular! 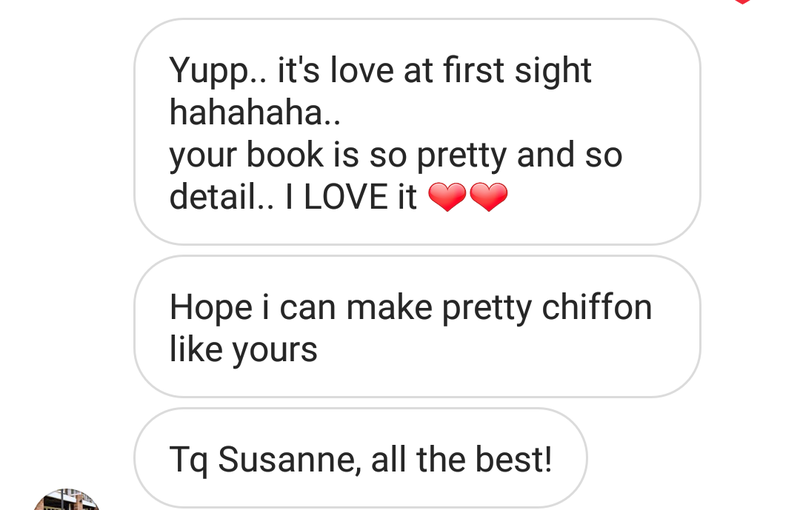 *Cookbook giveaway on my instagram @susanne.decochiffon and fb - closed 15/10/16. Winners have been announced. Simplified Chinese Edition <造型雪纺蛋糕 创作基础> available (1/3/18) in bookstores!! (26/6/18) So honored to be on Good Morning America! 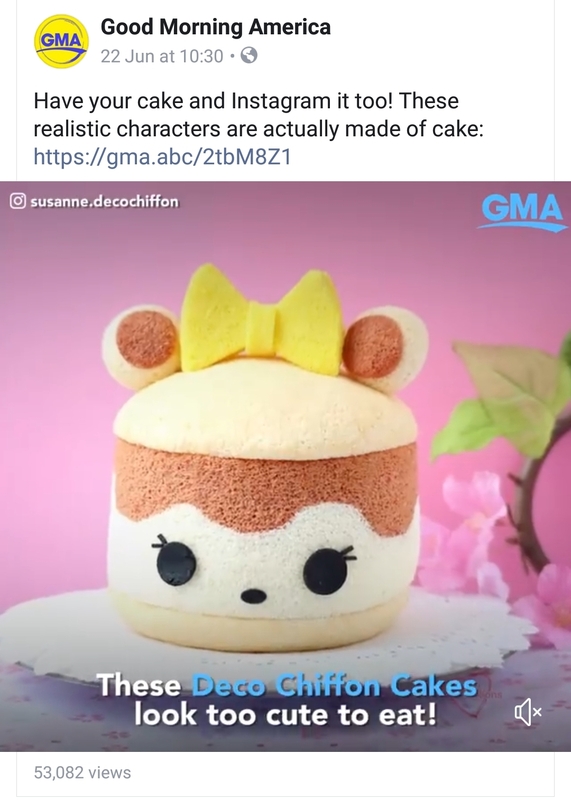 (15/6/18) On Food Network! 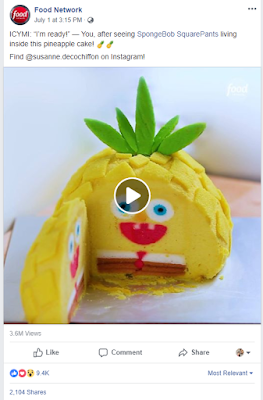 My Spongebob hidden inside a Pineapple chiffon cake! (2/5/18) So honored to be featured on @Tastemade! 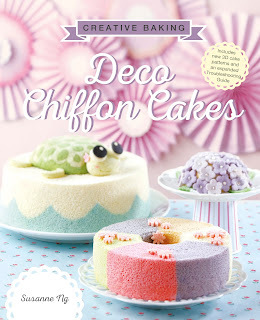 (1/4/18) Deco Chiffon Cakes featured in French magazine "Pâtisserie et Cake design"! 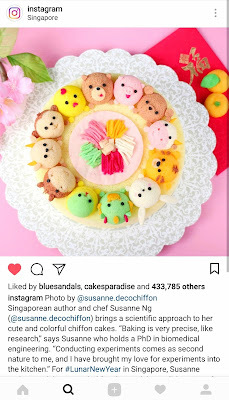 (15/2/18) Happy CNY! Honored to be featured on Instagram's official account! 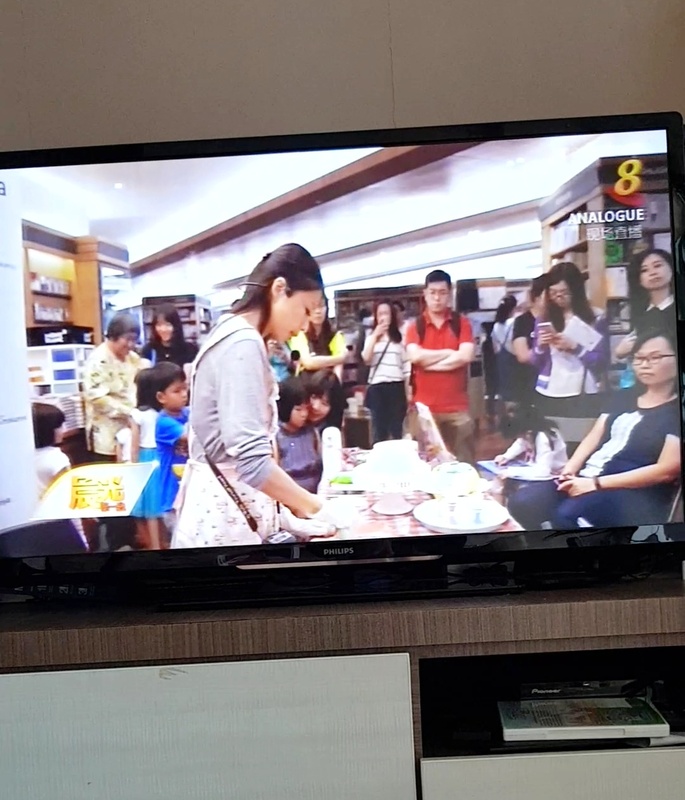 (7/2/18) Honored to be featured on Morning Express on Channel 8 TV! (31/1/17) Featured on Russian NTV! Watch the catch-up TV here. 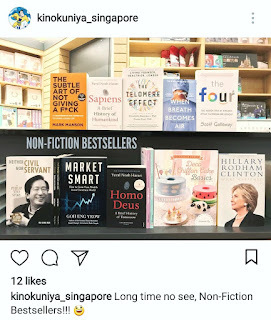 (13/11/17) Top 10 Non-fiction Bestsellers in Kinokuniya! 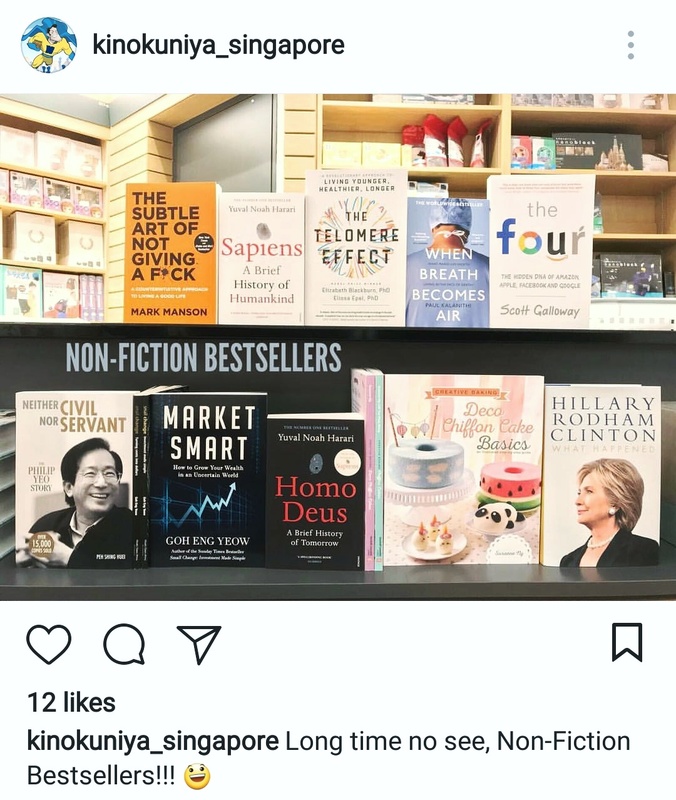 (13/11/17) Bestsellers in Periplus (Indonesia) and Naiise (Malaysia/SG)!! (5/11/17) Updated: Reviews/encouraging comments! So thankful for them! (4/10/17) Honored to be on YES93.3! 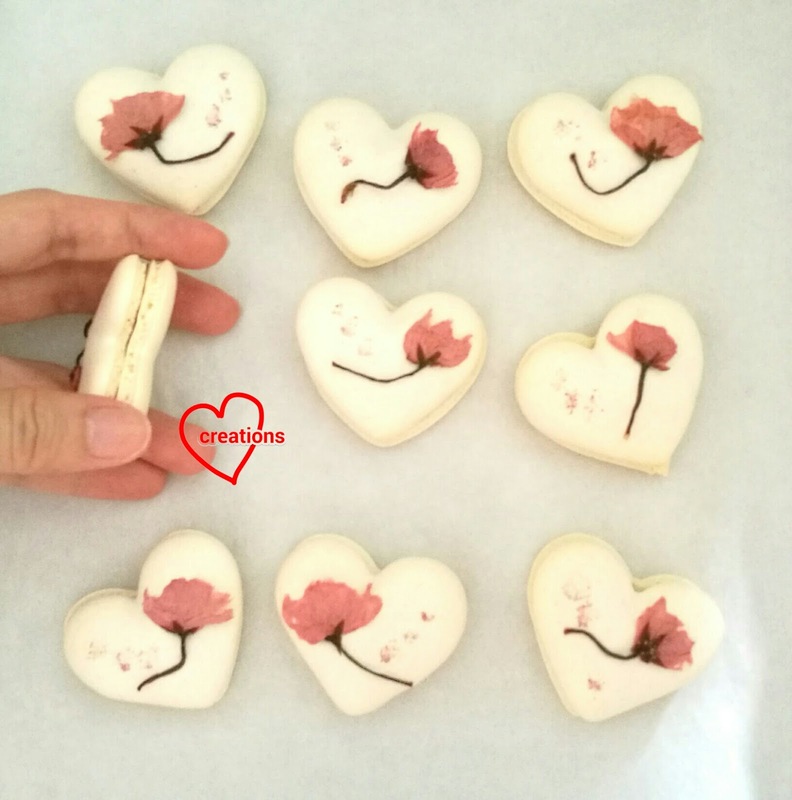 I shared about the new Basics cookbook and we had a challenge! Catch the facebook live here. 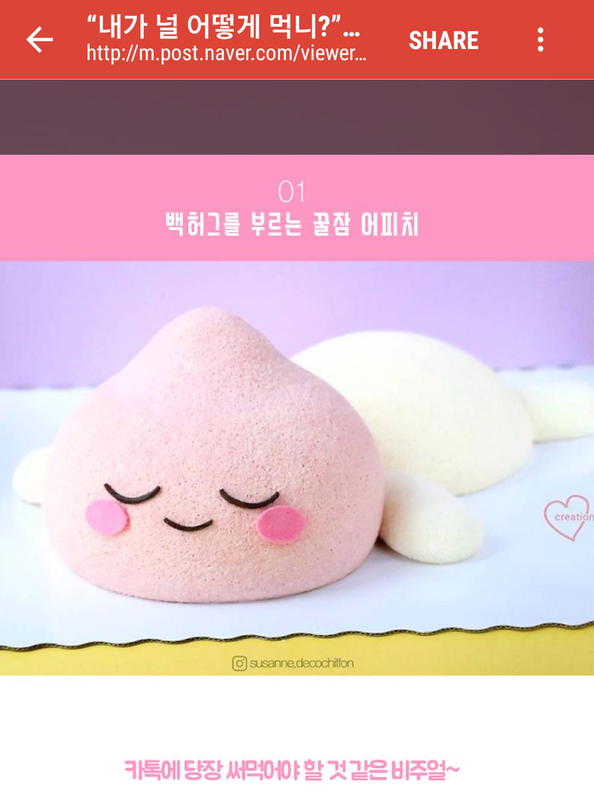 (28/9/17) Featured on Korea's major site Naver! (18/9/17) Honored to be interviewed by Radio channel JIA88.3 FM on my cakes. Catch their facebook live here. 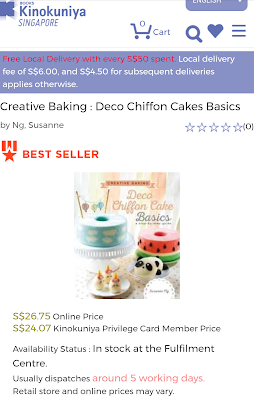 This Basics book is different from the first two Chiffon cake books in that it is centered around the Basics techniques (around 14) of Deco Chiffon Cakes. 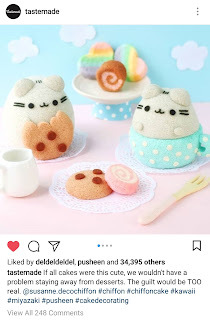 There are detailed step-by-step pictures for every recipe (e.g. bottom panel in the poster). 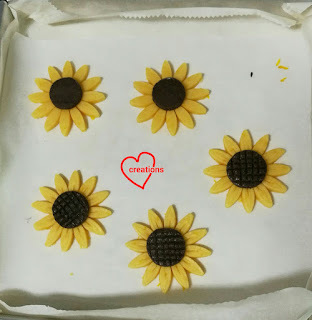 The additional step pictures are also accompanied with special Deco/Troubleshooting tips for tricky steps in the recipe. 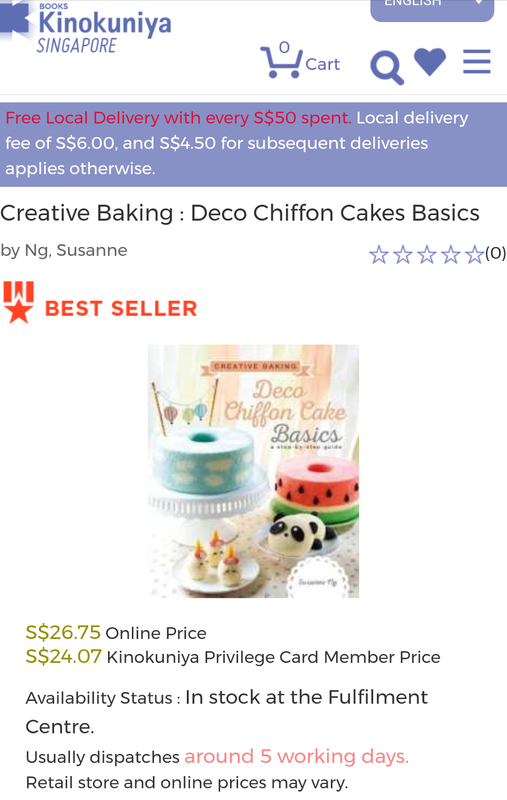 Hopefully this will help bakers and especially beginners alike master the Basic key techniques of Deco Chiffon Cakes. Here is the book cover! 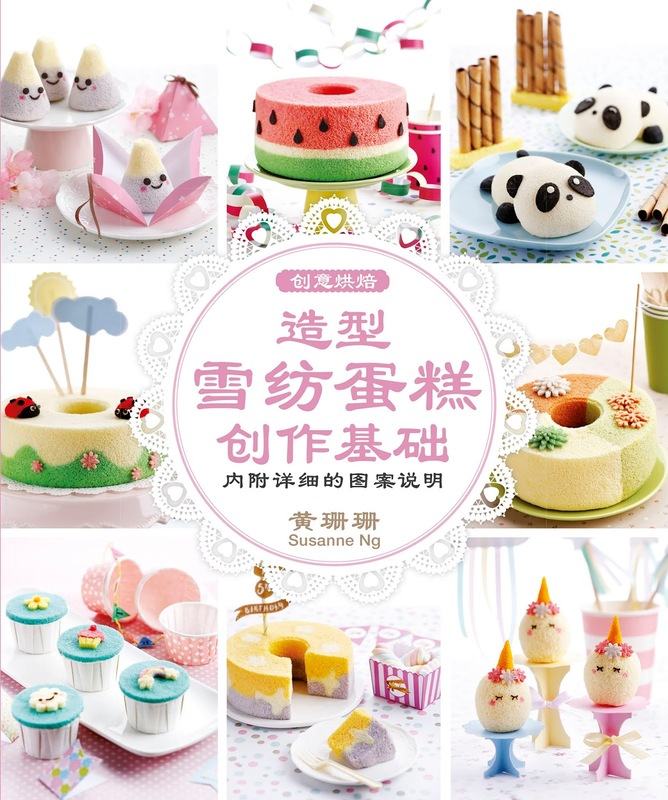 Thank you Prima flour, Chew's eggs and Phoon huat for your generous sponsorship of the premium ingredients used in Deco Chiffon Cake Basics! Thank God and thank all of you for your continued love and support! I am very grateful. 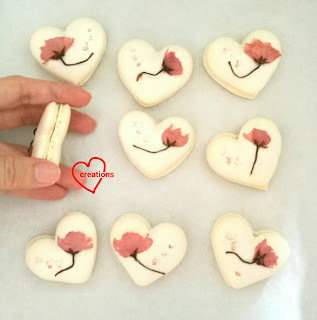 She wanted to bring the macarons to an island resort where she would spring the surprise on her sister. 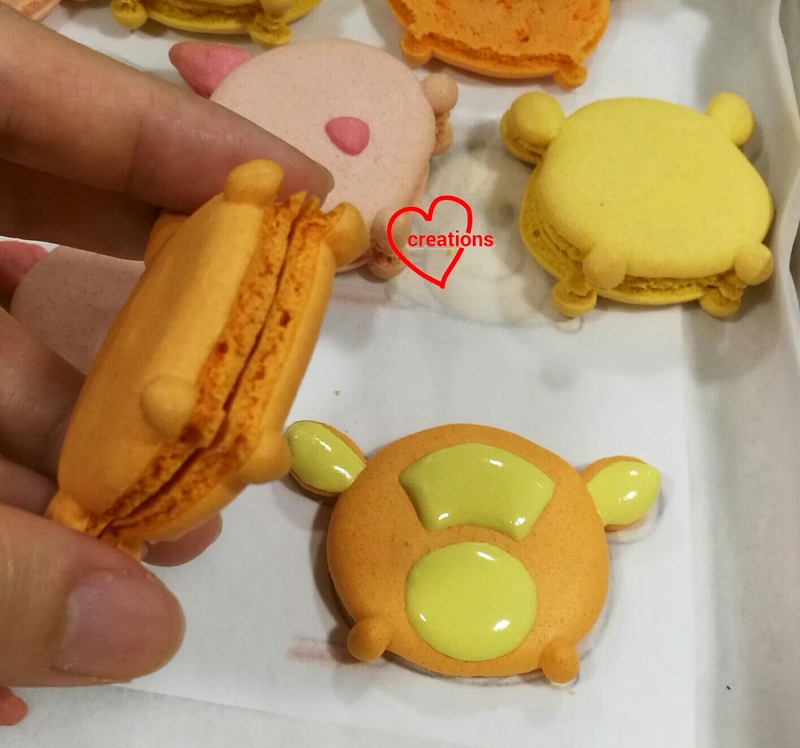 So I had to make sure that the macarons are not too fragile (therefore the choice of Tsum Tsum designs) and contain fillings that can survive a boat ride. 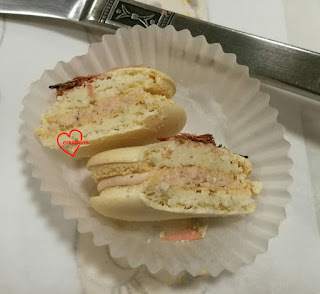 I have highlighted in this post the various pointers about creating macarons that are meant to survive longer (and possibly slightly bumpy) transportation and storage out of fridge so I will not repeat it here. 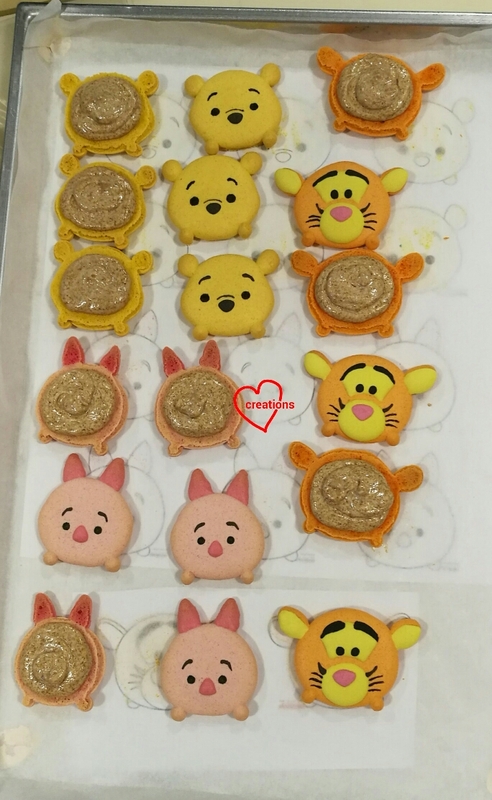 Freshly baked shells and beginning to decorate with royal icing and edible marker. Check out the feet on the shells too! I filled the macarons with Earl Grey white chocolate ganache. 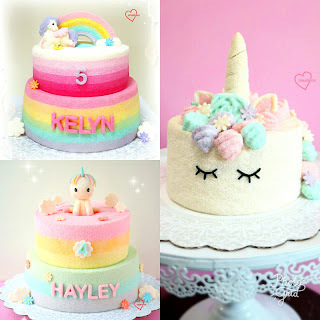 I hope these cuties brightened up your day just as they did for me as I worked on them :). Happy birthday to my dearest mummy! 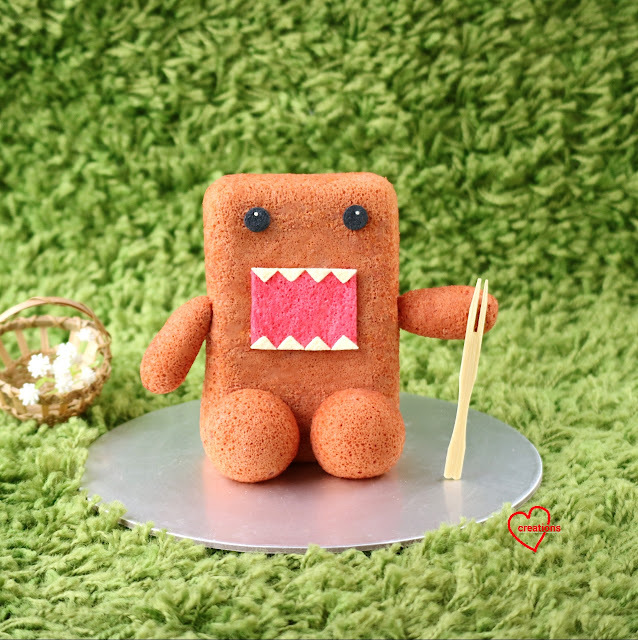 Made a Domo chiffon cake for my mummy this year. Last year was Pikachu during the Pokemon-go craze hehe. How one year flies! I'm so thankful to my dear mummy for her love and support all these years. For those who don't know, Domo is the adorable furry mascot of Japan's NHK. My kids thought it was a giant chocolate bar and were elated! I baked a Reduced Sugar Chocolate Chiffon Cake recipe in a rectangular baking pan. This recipe was previously developed specially for my health concious friend. It tastes yummy and balanced without being overly sweet so it great for the elderly like my mum. 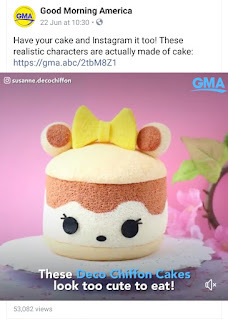 The recipe in the above link is also shared for a 18-cm tube pan, so you can use it to bake a normal chiffon cake as well. 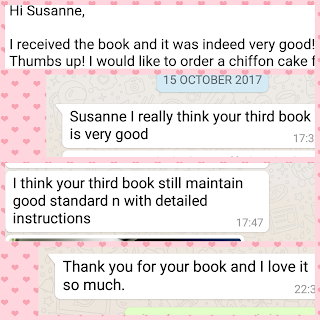 Similar to the Airplane Chiffon Cake in my first book, Creative baking: Chiffon Cakes, you do not need to grease the pan. If you didn't underbake or overbake it, it should peel off easily. Here's having fun cutting the cake lol =p. I actually posted this on my Instagram story while cutting the cake! 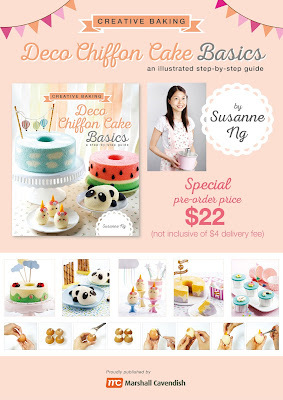 Some exciting news, my 3rd book Deco Chiffon Cake Basics is open for preorders! The structure and focus is different from my 1st two books. 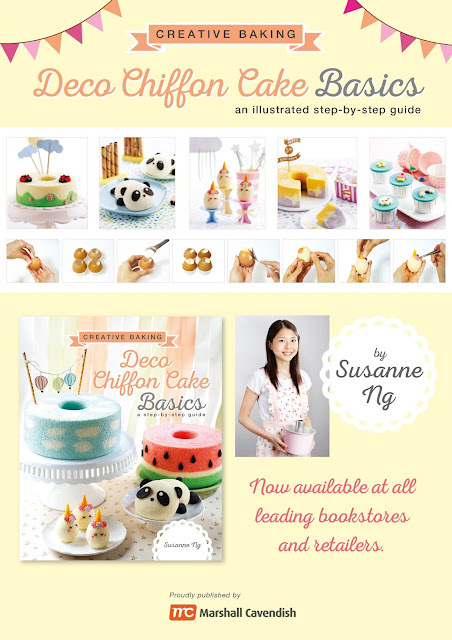 It's focus is on Basic Techniques of Deco Chiffon Cakes, with more step-by-step pictures for each technique that will be clearer for beginners. Hope you will find it helpful! Want to bake something simple yet yummy and impressive looking for Teacher's Day? Why not try making these lovely sunflower shortbread cookies :). They smell and taste lovely too! 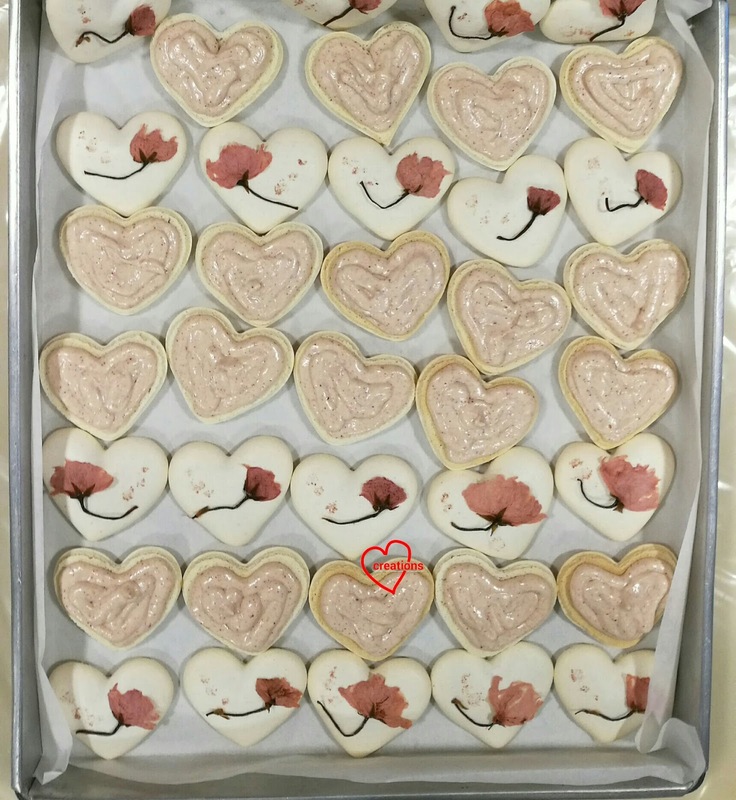 I love shortbread cookies because they are simple to make (no special equipment or technique involved) using few ingredients. The original recipe just uses icing sugar, butter and plain flour in a very easy to remember ratio of 1:2:3 by weight, and therefore very easily adaptable for scaling the quantity and various flavours. The baking part is easy. It is the rest of the craft portion that may be more time consuming. So feel free to improvise the design :). 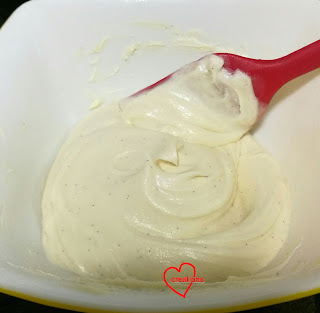 * The icing consistency should be less runny than the recipe link I provided. To do so, add a bit more icing sugar until the icing is able to form peaks that can hold for 20 seconds. 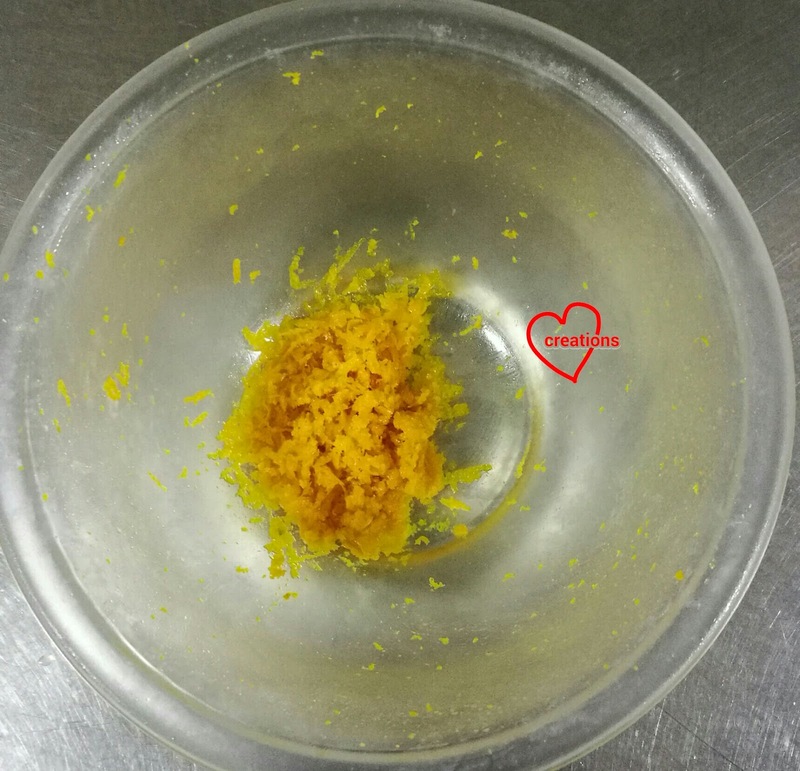 Orange zest! 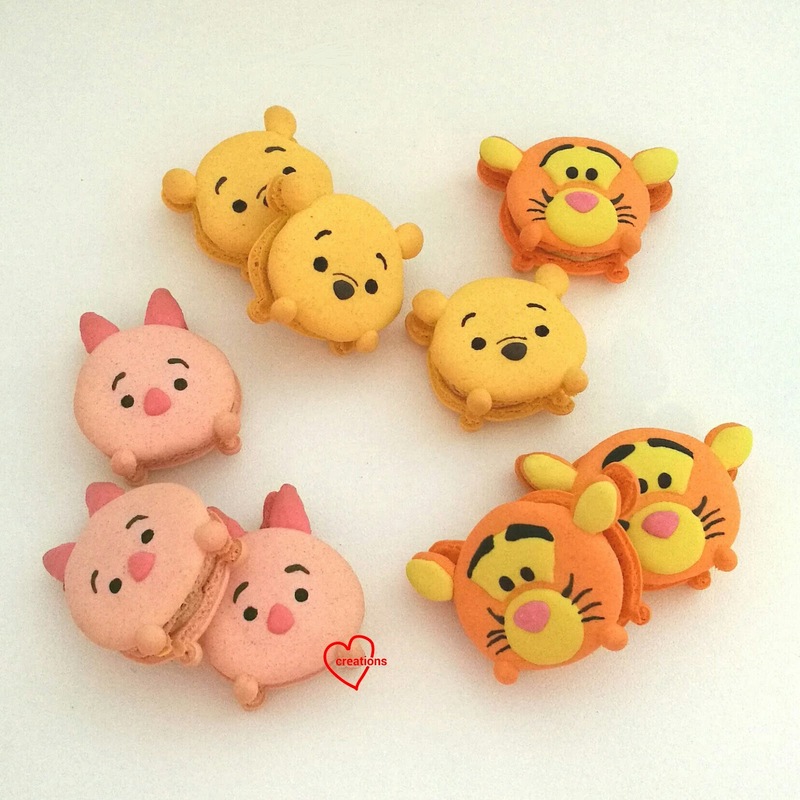 The key to awesome tasting orange cookies! 1. 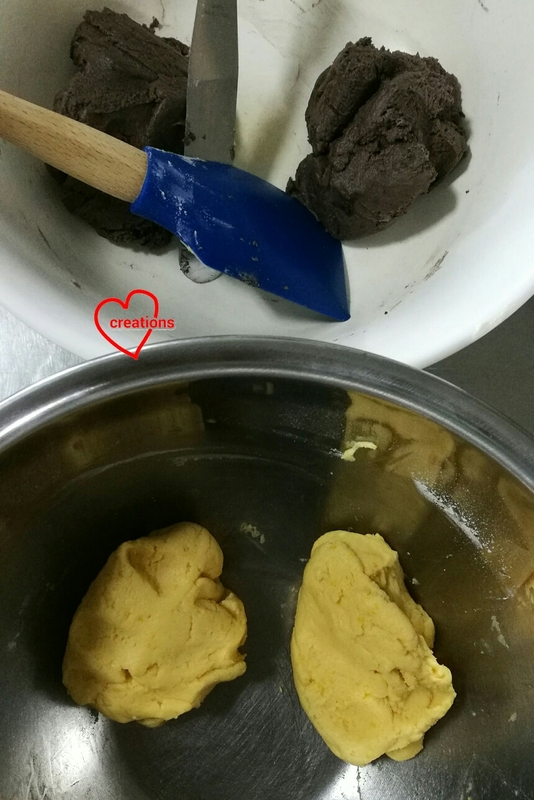 The method of making the dough differs depending on whether you are using electric mixer or not. I will describe both over here. Resulting texture may be lighter for the electric mixer version but both are still yummy. Sift together flour, icing sugar, salt and cocoa powder (for chocolate) or orange zest (for orange). 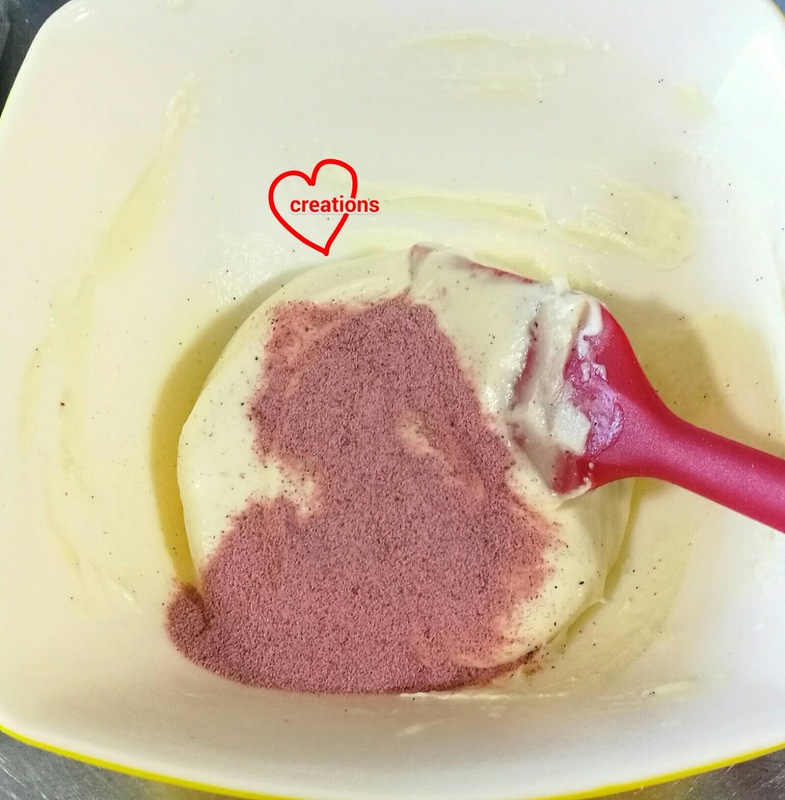 Add small pieces of butter into flour mixture and use your finger tips to rub the butter into the flour and knead until mixture resembles breadcrumbs. Add flavouring/colouring and knead the mixture until a ball of dough forms. 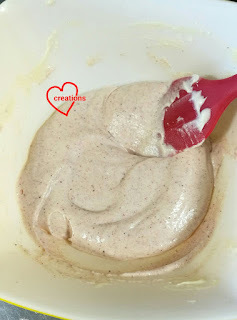 Cream icing sugar, salt and softened butter with mixer until creamy and well combined. Add flavouring/colouring and orange zest (for orange) and mix well. 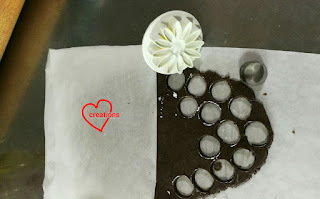 Add flour and cocoa powder (for chocolate) and fold in with a spatula until a ball of dough forms. Use your fingers towards the end if necessary. 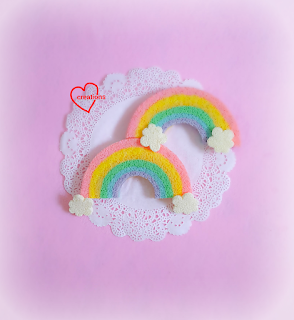 Divide each coloured dough into two or three portions. 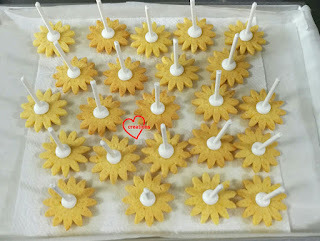 The reason for dividing the dough is this, Singapore is really warm so the dough softens quite fast at room temperature. It is easier to work with a firm but pliable dough. At any one point the dough becomes too soft, simply re-roll, freeze it and take the other frozen batch out of the freezer to work with so there is no in between waiting time for the dough to firm up again. 2. Roll each ball of dough to thickness of 4mm between two baking sheets. Freeze the dough until firm. The dough can keep in the freezer for a few months in airtight condition. 3. 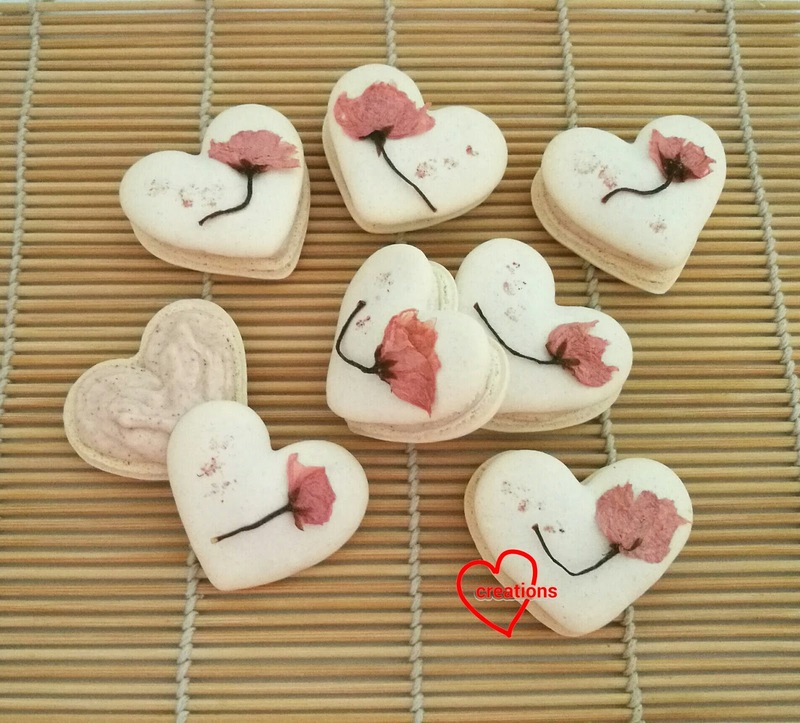 Prepare a small portion of cornflour or plain flour for dusting. 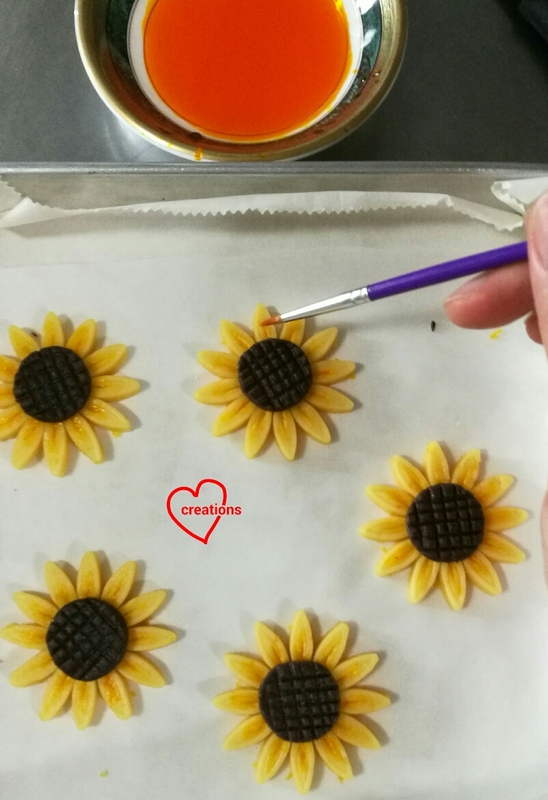 Use a Daisy (or any flower cutter you have) fondant cutter to cut out the orange base flowers. Dust the surface of the dough and spread a thin coat of flour on the dough before cutting out the shapes. Let the dough soften a little before cutting otherwise it will crumble. 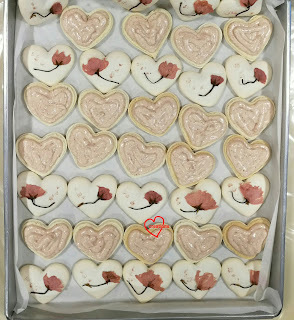 Place the cut-outs on a baking tray lined with baking paper, about 2-3cm apart from each other. Dust the cookie cutter with flour if necessary but knock off the excess flour as much as possible. 4. 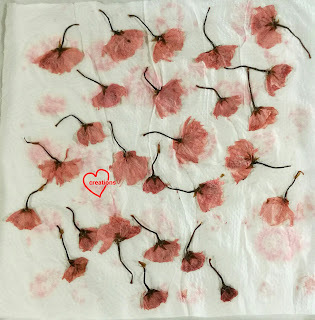 Use a small knife to make imprints on the petals if you wish (optional). 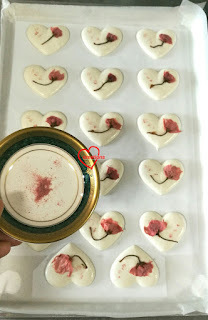 Make criss cross patterns on the brown portion using the knife as well. If you find that the dough sticks to the knife, dust and coat the brown portion with a teeny bit of flour before making the imprint. This is also optional if you are feeling lazy. 5. 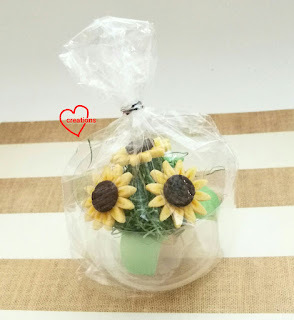 If you feel really hardworking, you may add on a little darker yellow highlight on the petals near the flower centers. Dissolve a little golden yellow gel food colouring in water and use a fine paint brush to paint on the highlights. 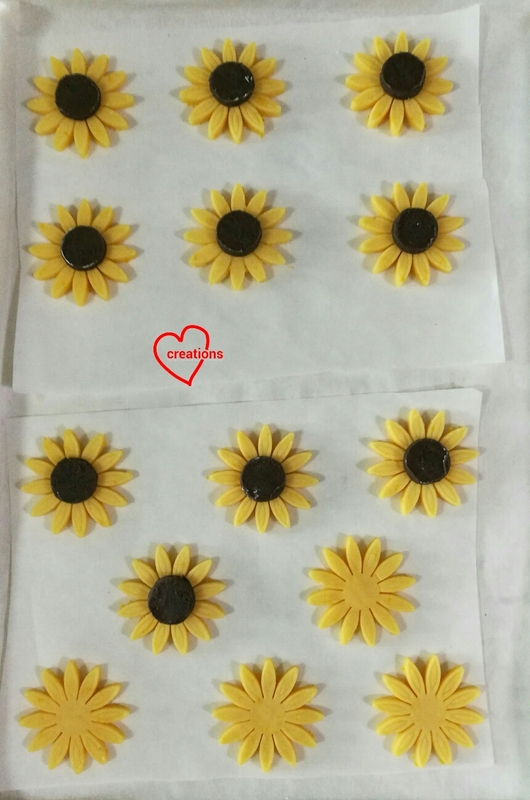 I am providing these options for details just in case you want to make more realistic looking flowers but these steps are just cosmetic. 6. 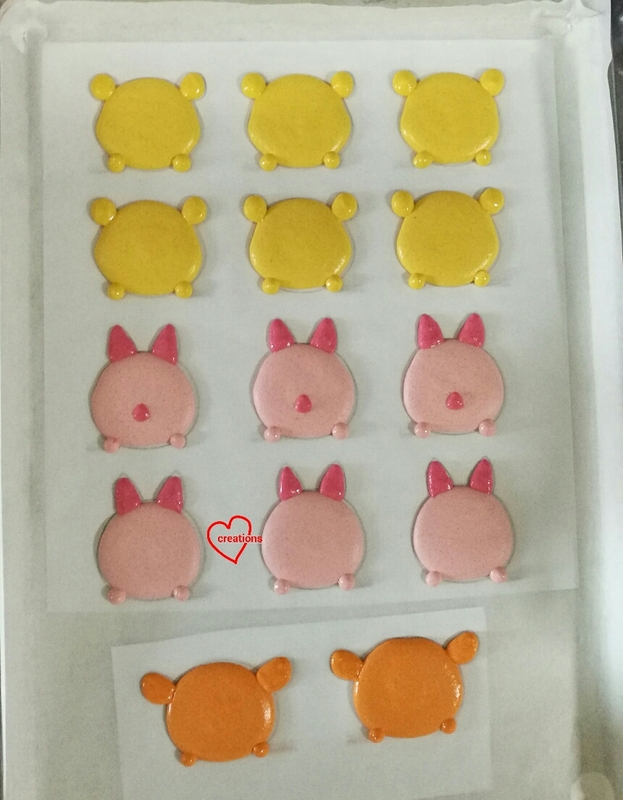 Refrigerate the whole tray of cutouts until firm. In the meantime, preheat the oven to 150℃ and set the rack to second lowest position. 7. Bake for 12-15 min or until the base of the cookies show telltale signs of being browned. This is perhaps the trickiest part. It is safer to underbake, check the cookies and return them to the oven to bake longer for a few more minutes than to overbake them at the start. But don't worry, they still look pretty and taste yummy even when slightly browned. Keep a close watch on the browning towards end of baking time. 8. Cool the cookies on the tray. Place the cookies on paper towels for an hour or even overnight to absorb excess oil from the base of the flowers. You may place the whole tray of cookies in jumbo ziplock bag to keep it in airtight condition. 9. 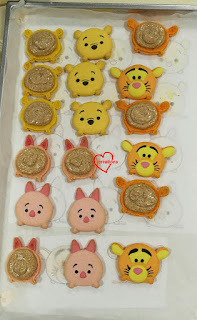 Flip the cookies over such that the base is facing upwards. 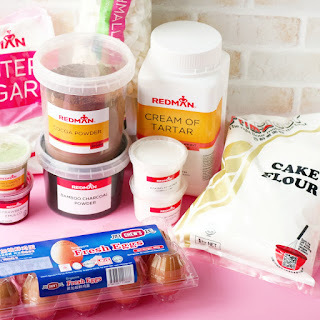 Prepare royal icing and cake pop sticks. Pipe a generous dollop of icing at the center of the flower base and insert a cake pop stick as shown below. Leave the icing to dry in aircon room or under a fan for at least a few hours until fully hardened. 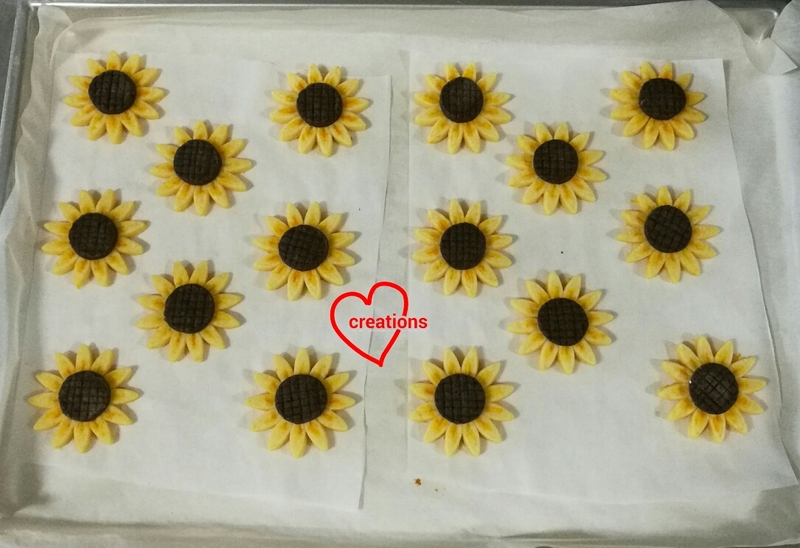 Cookies won't turn soft if they are thoroughly baked through. 10. 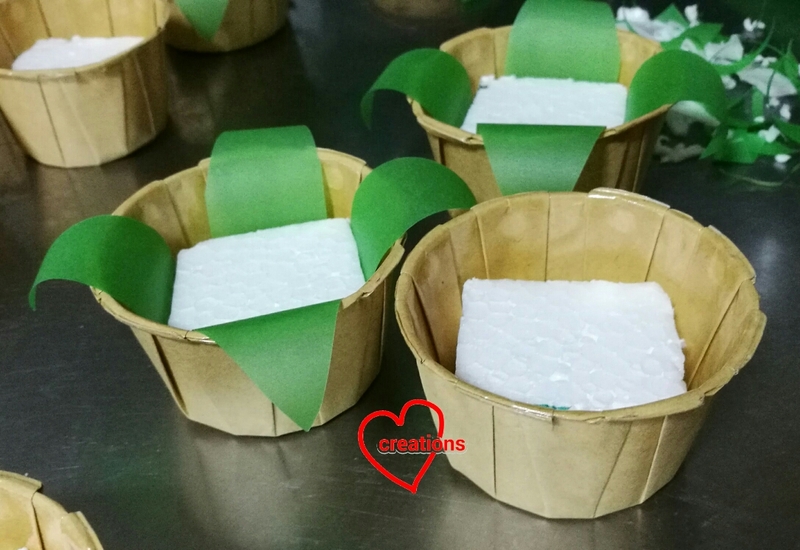 Cut pieces of styrofoam such that it can fit into the large cupcake cases. Cut leaves of appropriate size too. 11. Insert three flowers into the styrofoam block. 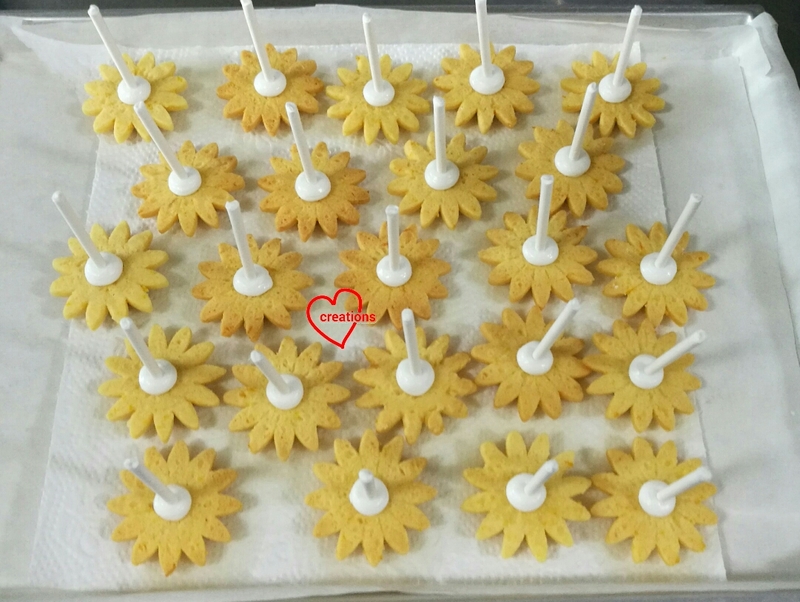 You may find it easier to poke holes using a toothpick/wooden skewer first before inserting if you are using cake pop sticks. 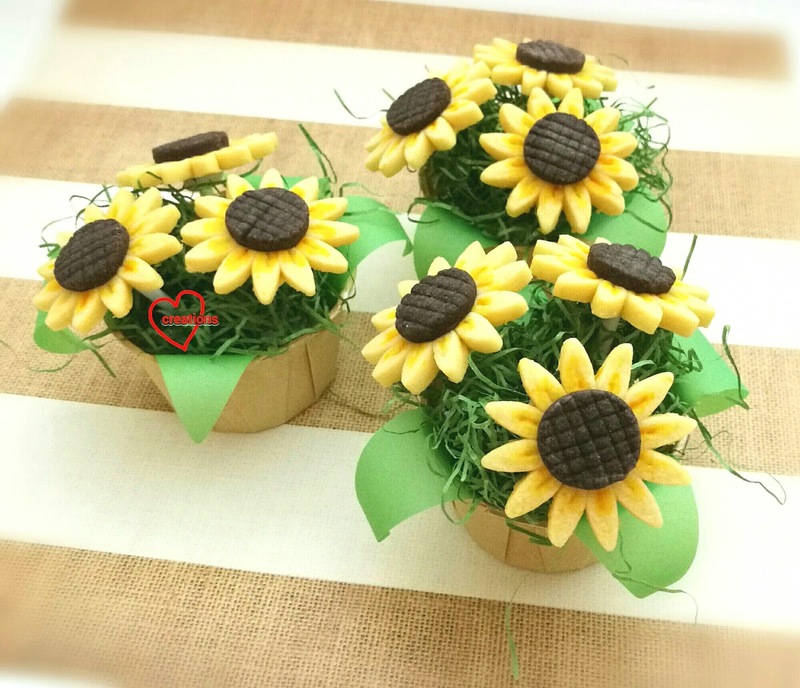 Carefully place the flower block into the cupcake case. Insert leaves and shredded paper as you wish. 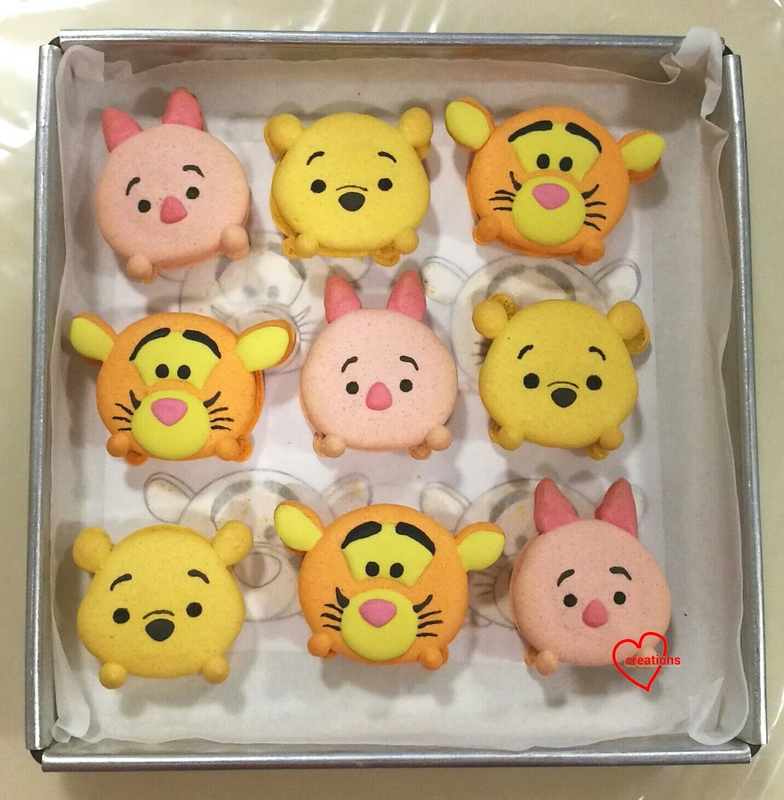 These cookies can keep for a month in airtight condition in a cool and dry place. 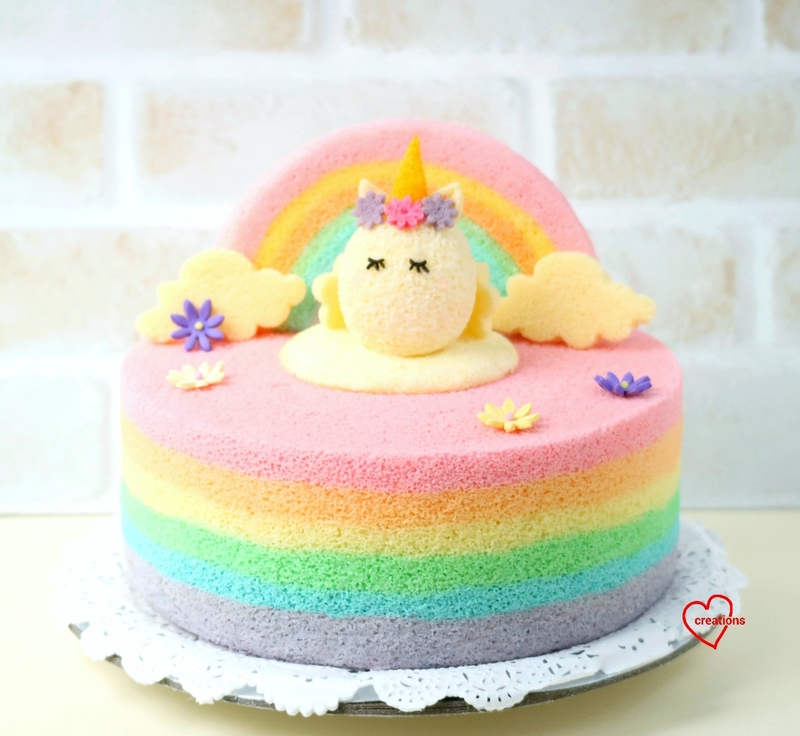 Here's a new Unicorn Chiffon Cake with Rainbow on top of a Rainbow Chiffon Cake! 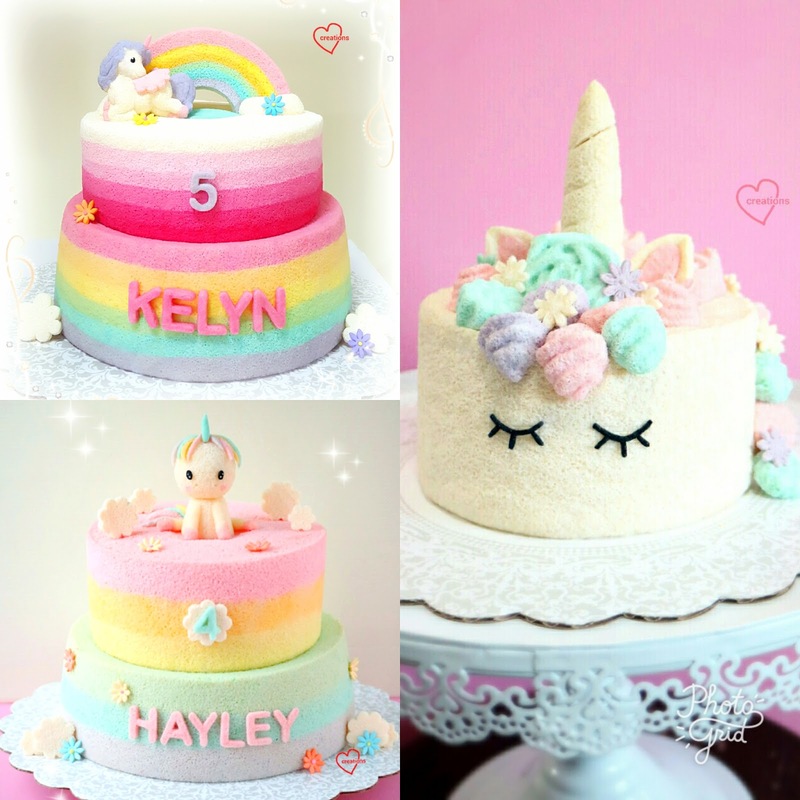 I've made a number of different Unicorn Chiffon Cakes for my friends. It seems to be forever popular <3. The Rainbow chiffon cake is my signature creation. 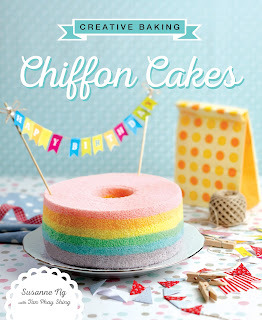 I've shared recipe for my Rainbow Chiffon in my first book, Creative baking: Chiffon Cakes two years back. It even made the book cover! 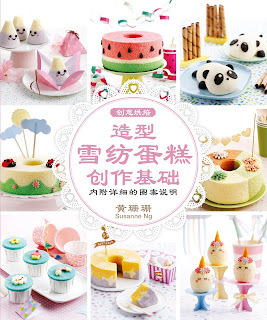 After the book came out, it was trending among home bakers and even bakeries =). 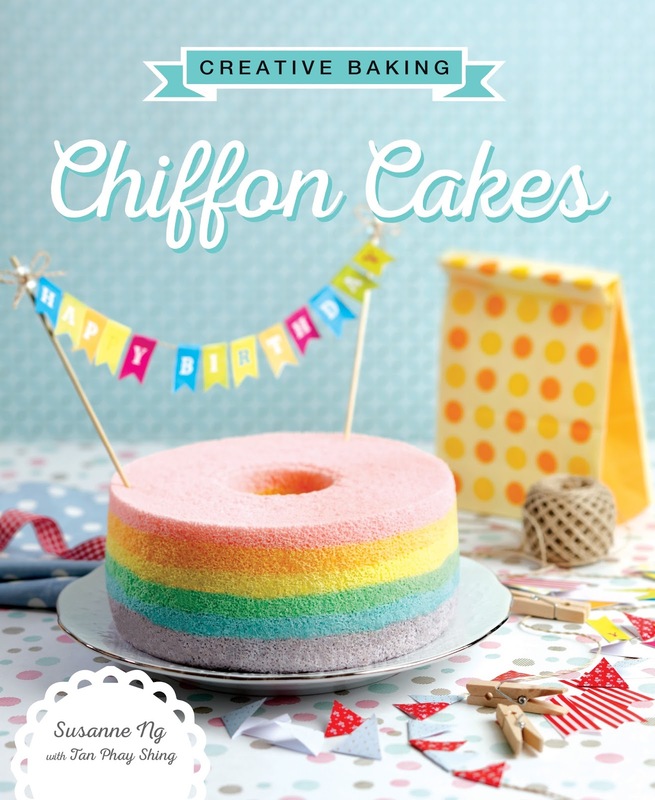 Recipe for Chiffon Cake Rainbow is also shared in Creative baking: Chiffon Cakes. Hope you will like these sweet ideas! 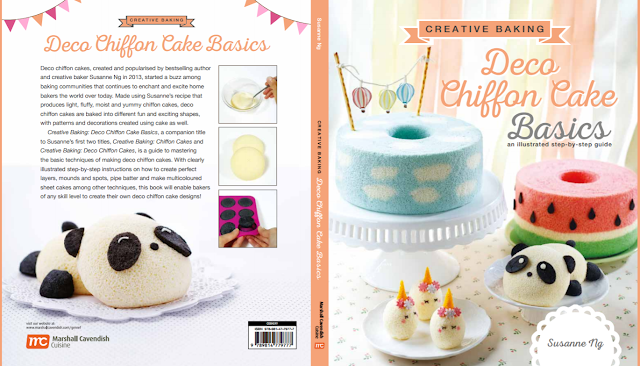 The Chiffon Unicorn with step-by-step illustrations will be shared in my newest 3rd cookbook Deco Chiffon Cake Basics coming out in Sept/Oct. 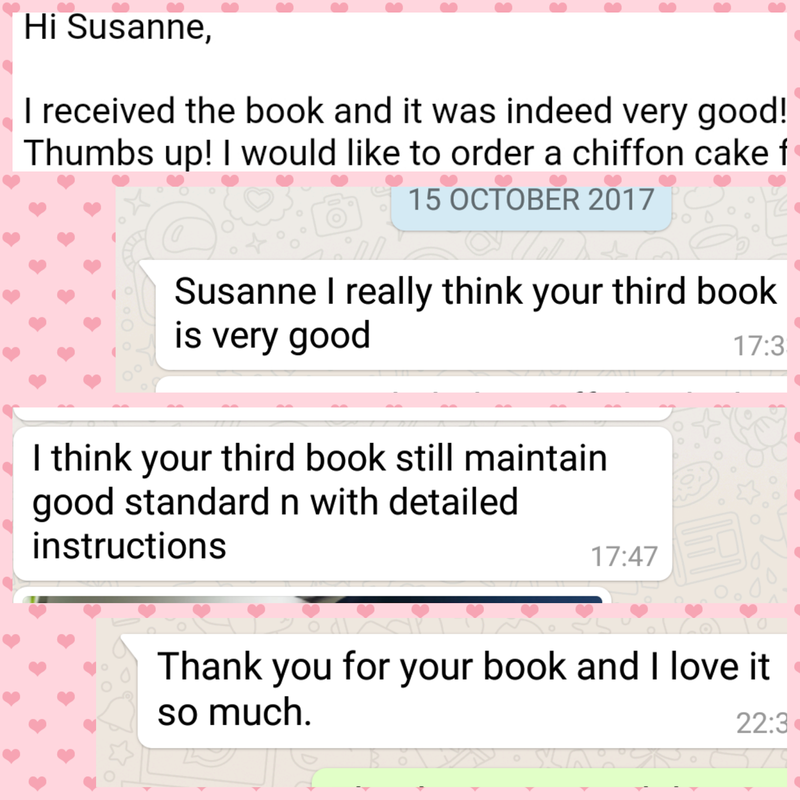 The 3rd book will be very different from the 1st and 2nd books, focusing on getting the Basic techniques of Deco Chiffon right with more pictures! 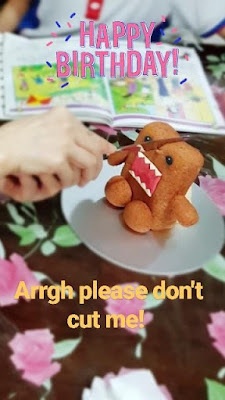 Hope this sweet creation brings a smile to your faces! Have a great week ahead!